Two years later, he finds himself bored and seeks new worlds to conquer. He and his wife Libbie fixate on Spain's decaying empire as his source for immortality. What President Custer doesn't quite comprehend is that the U.S. military isn't up to such a venture. When a group of Americans on a ship headed for Cuba is massacred, war becomes inevitable--and unless calmer, patriotic citizens and soldiers can find a way to avoid debacle, this war may be America's last stand. 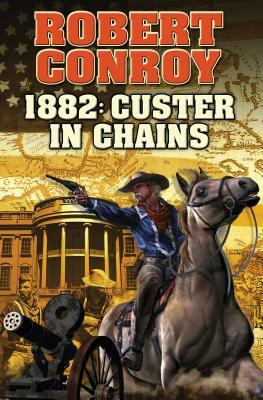 Robert Conroy was the author of a run of hugely popular alternate history novels, including Himmler's War and Rising Sun for Baen Books. His 1942, which is set within a Japanese conquest of Hawaii, won the prestigious Sidewise Award for alternate histories. Conroy wrote for Military History magazine and traveled extensively in Europe where he took a special interest in battlefields, historical collections and castles. After a first career in business, Conroy turned his lifelong passion for writing and military history into an immensely satisfying new occupation.